Sunako Jukucho (real name - Teruhiko Sunako) was, before his retirement in 2008, one of the top professional race drivers in Japan, well known in GT-R and Porsche circles. He also taught a select few students, running a high performance driving "juku" (prep school) hence his nickname "jukucho" (literally prep school master). Anyway, I was pleased to find out that his retirement from the car world was short-lived. At a recent social gathering, I found out he was back in Tokyo and now in charge of introducing the Base Performance Simulator (one of only 5 in the world) to Japan. 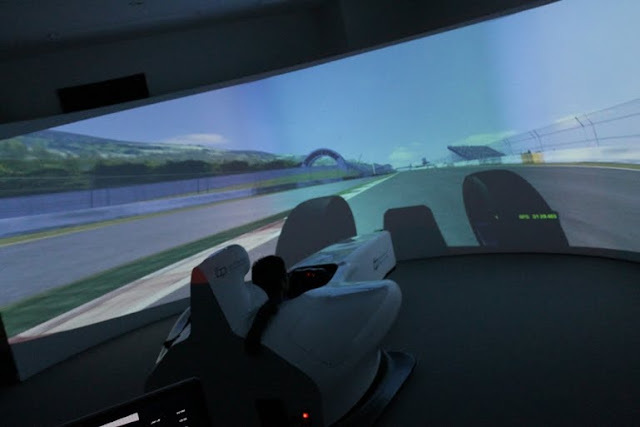 Essentially, it is a high performance racing simulator, kind of like the PlayStation Gran Turismo game series...but on steroids. 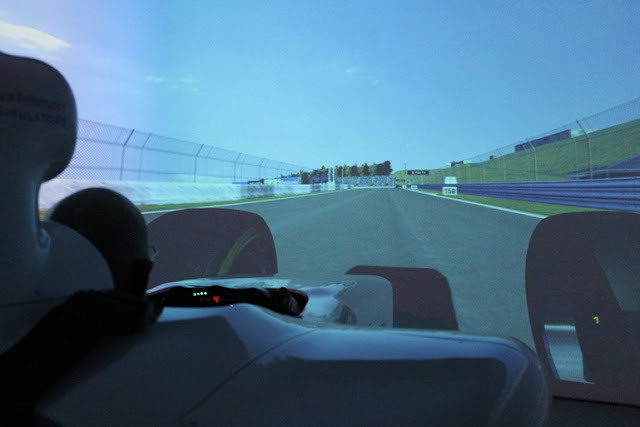 Developed by double LeMans winner Darren Turner, the BPS system is recognized as being literally one step below the full on million dollar simulators F1 Teams use to train their drivers. 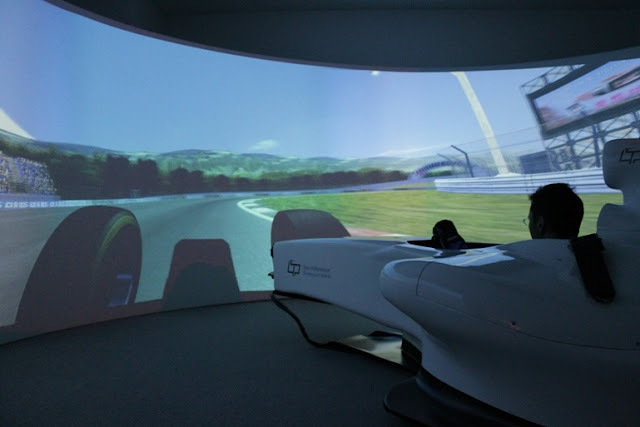 Read more about how fantastic this simulator is here. Due to my status as a former juku-sei (prepschool student) of his, I was lucky to be invited to try this machine out before its unveiling to the paying public. As I had been recently too busy to really think about my past driving both good and bad at Fuji, this was a perfect opportunity to remind myself of my weakpoints - ie sections of the track that I always seem to have trouble with - and work on improving my techniques not only by driving in the simulator, but getting advice directly from Sunako-san. How fantastic is this? I can try different things before actually hitting the track and risking damage to my car (as well as any others that might happen to be there if I spin out)- Fuji is a high speed track after all, so a mistake can be expensive! First time I hopped in, I was embarrassingly slow. Yes there was some initial disorientation - I mean the displayed images made me dizzy in the beginning, but then you get used to it. The wheel has force feedback, but this simulator doesn't move up, down or sideways like some others. But it was also the vehicle I was virtually driving, a GP2 formula car... The thing accelerates so quickly that if you're not careful, just like in real life, your car suffers oversteer and... yes, you spin. And braking - no power assist here! Just like a real formula car. And the force feedback is so strong sometimes I was glad I heeded Sunako-san's advice and brought my racing gloves. 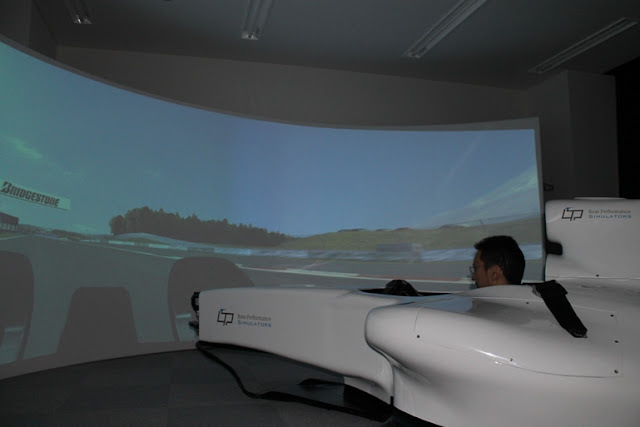 So getting used to the virtual car for me took some time. But once I started getting used to the formula car steering wheel, and the DSG style shift paddles, and the acceleration and the braking - then it quickly became apparent that I had a whole list of weak points on how to drive the Fuji track itself - for example, how to take the Coca Cola corner properly without upsetting the balance of the car, the proper entry speed and clipping points for the 100R, braking and acceleration points for Netz Corner, and the proper line for Panasonic Corner - and those are just the obvious ones. And the result - during the actual SSCT track day, I found myself flying through Coca Cola corner with no fear, my car behaved exactly as predicted and simulated. 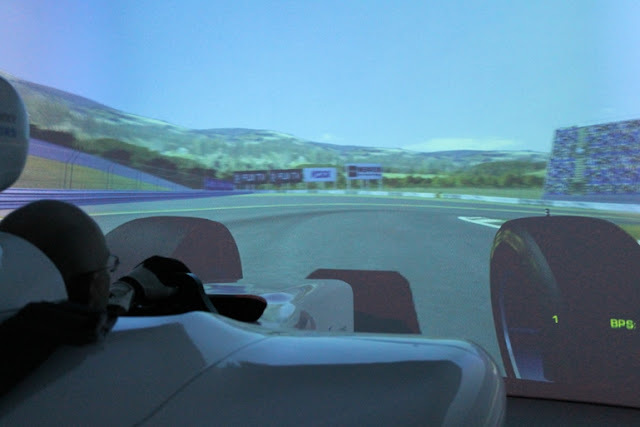 Other problem areas were not much of an issue too, although the number of cars on the track that day made taking the ideal lines more the exception than the rule...but anyway, the simulator did its job and got me prepared! 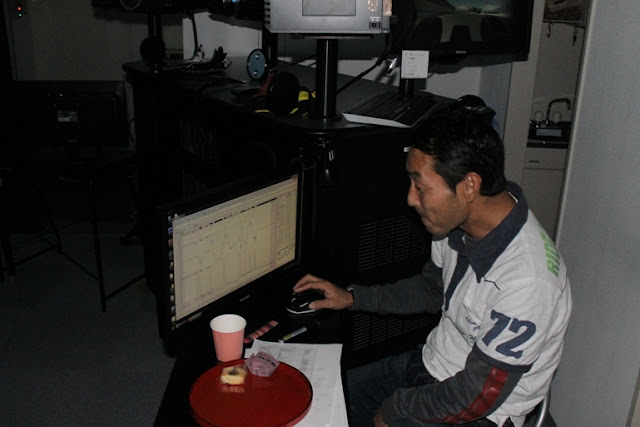 Then the Motec software, which keeps a running tab on what you're doing, displays it all for Sunako-san to breakdown and analyze. Brutally. 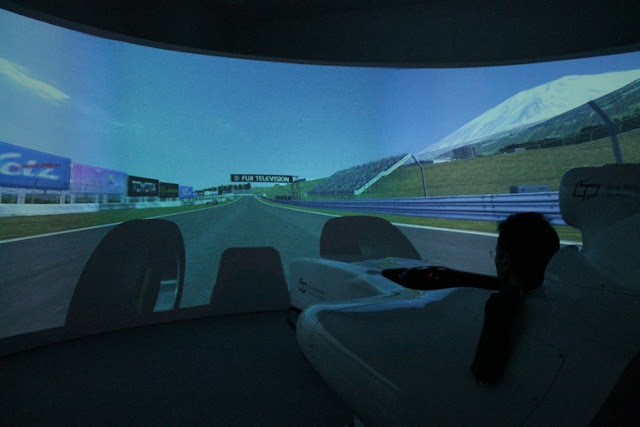 Anyway, for those who might be interested in preparing for their own track days, the simulator has, on file, in addition to the major tracks in Japan, dozens of tracks from around the world, ranging from Laguna Seca to Nurburgring. He does understand some English, so don't be shy... And tell him I sent you!